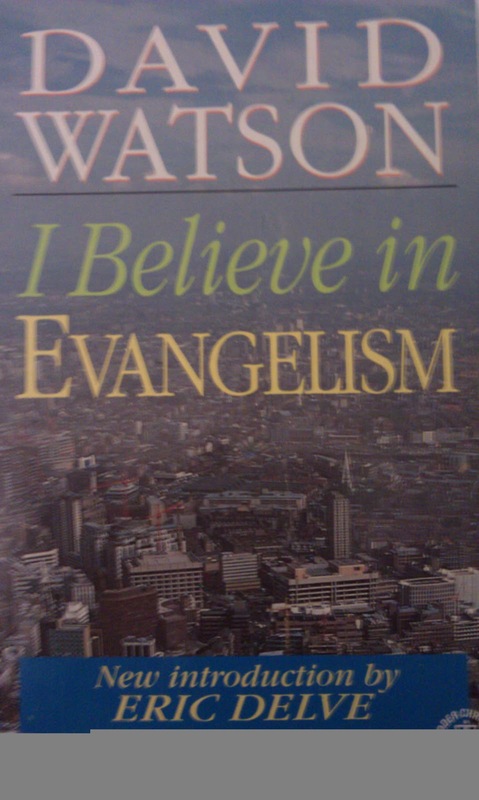 Description: This book is a record of the passionate convictions that motivated the ministry of David Watson, exploring what evangelism is and how it can be carried out by both Church and individual. - so just a snapshot of the cover. Origins: What I liked about this book was its genuineness. 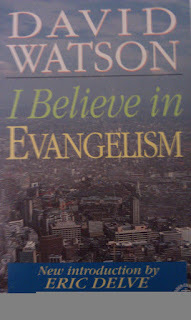 Whereas other books on evangelism, that I skimmed through, seemed to focus on 'doing' evangelism and how to 'do it right', this book encouraged you to make friends. What I remember from reading this book, I read in back in 1995, was 'make friends'. Find someone and starting talking to them, just a normal conversation, don't start by bringing God into it at the start but start by asking them what interests them, and then be interested in that person. Find out more about them and become friends with them, showing them God's love by caring for them. Eventually one of your friends will notice you're showing an interest in them and will ask you what are your interests. This is then your opportunity to introduce your friend to your best friend, Jesus. No standing on the corner handing out tracts to strangers, no approaching strangers, like some creepy dude and starting up a 'God' conversation straight away. Just introducing new friends to your best friend and Saviour. And if your looking for a way to good way to explain your faith to your friends, I have found Two Ways to Live one of the best. 2 Ways to Live Booklet available from Matthias Media.